On the morning of August 2, 1990, Iraqi armored divisions invaded the tiny emirate of Kuwait. The Iraqi Army, after its long war with Iran, had more combat experience than the US Army. The Kuwaitis had collapsed easily enough, but the invasion drew fierce condemnation from the United Nations, which demanded Hussein's withdrawal. Undeterred by the rhetoric, the Iraqi dictator massed his forces along the Saudi Arabian border and dared the world to stop him. In response, the United States led the world community in a coalition of thirty-four nations in what became known as Operation Desert Storm. Leading this charge into Iraq were the men of Eagle Troop in the U.S. Army's 2nd Armored Cavalry Regiment. Commanded by then-Captain H. R. McMaster-who would go on to serve as National Security Advisor in the Trump administration-Eagle Troop was the lead element of the U.S. VII Corps' advance into Iraq. 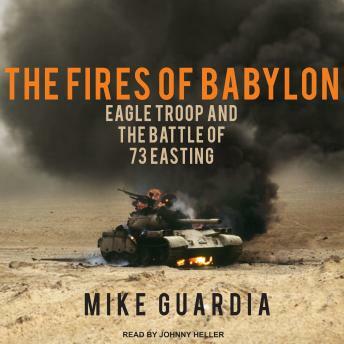 On February 26, 1991, Eagle Troop encountered the Tawakalna Brigade of Iraq's elite Republican Guard. By any calculation, the twelve American tanks didn't stand a chance. Yet within a mere twenty-three minutes, the M1A1 tanks of Eagle Troop destroyed more than fifty enemy vehicles and plowed a hole through the Iraqi front. History would call it the Battle of Seventy-Three Easting.